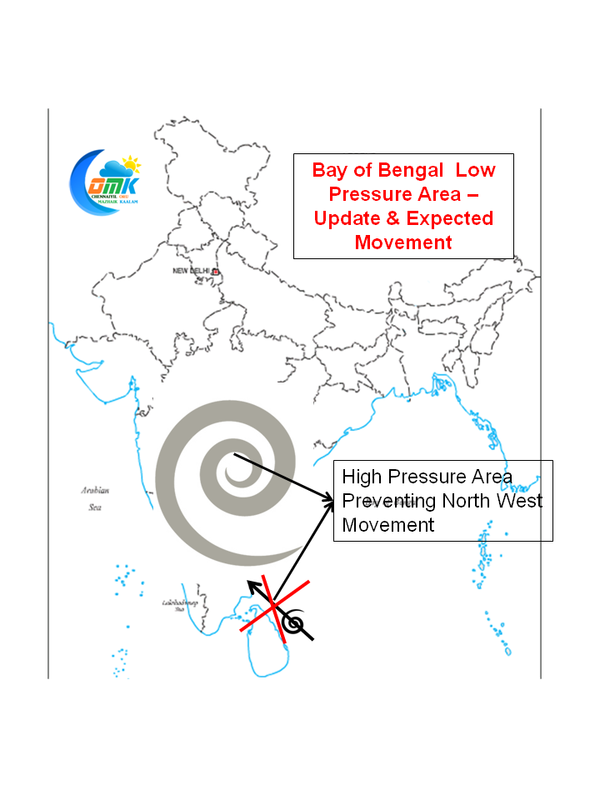 The Low Pressure Area has now relocated as we had mentioned in our post today morning. It now lies North East of Sri Lanka. 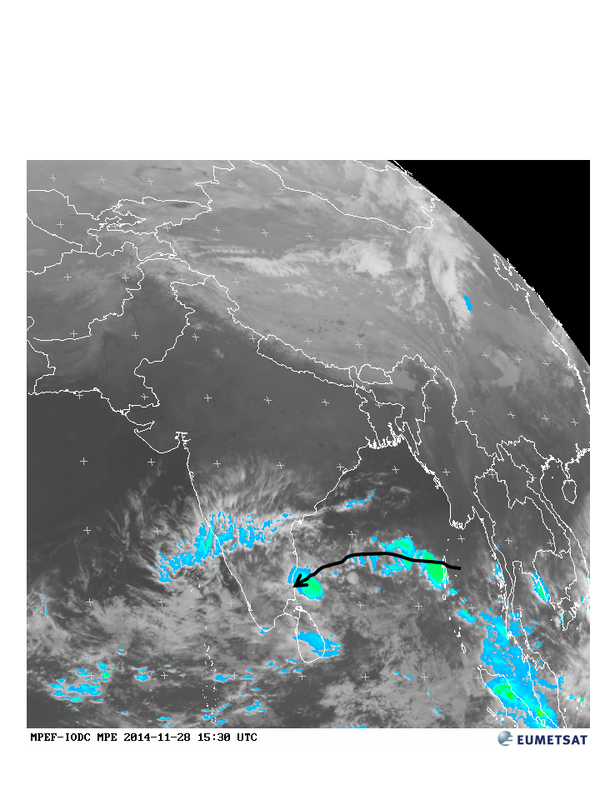 IMD expects this to intensify into a Well Marked Low (WML) over the next 24 hours or so. 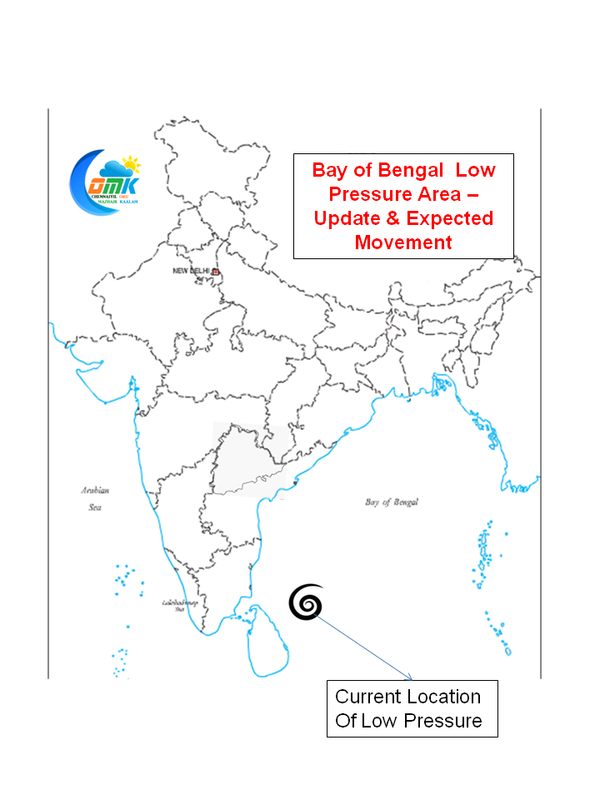 While conditions are moderately helpful for the system to intensify it still pretty much powerless against the High Pressure Area (HPA) over Central India which is moving down South as each day progresses. Delta Regions have got decent rains today, with places upto Cuddalore & Pondy getting its share of moderate rains. Because of the HPA the system has pretty much remained quasi stationery making little jumps to West and East. 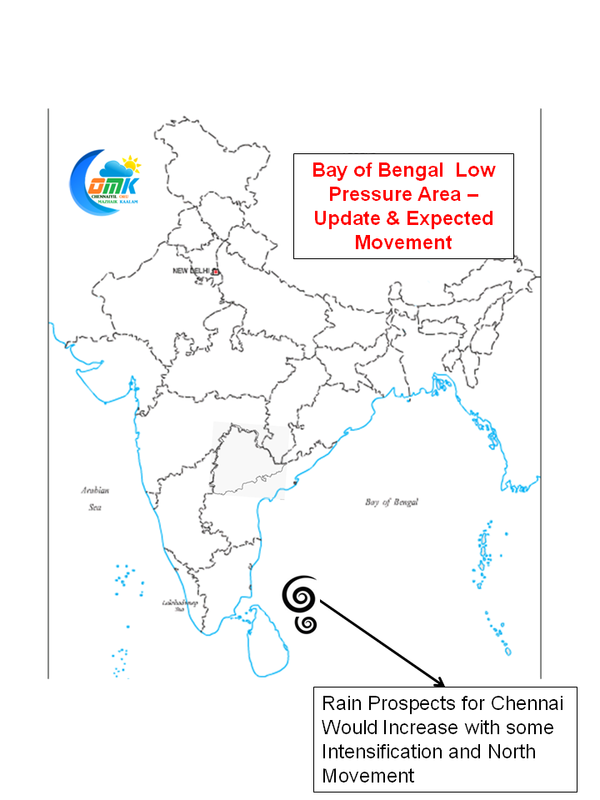 South Tamil Nadu, Delta regions have all got rains from this Bay disturbance,despite all expectations Chennai has not got any luck till now. 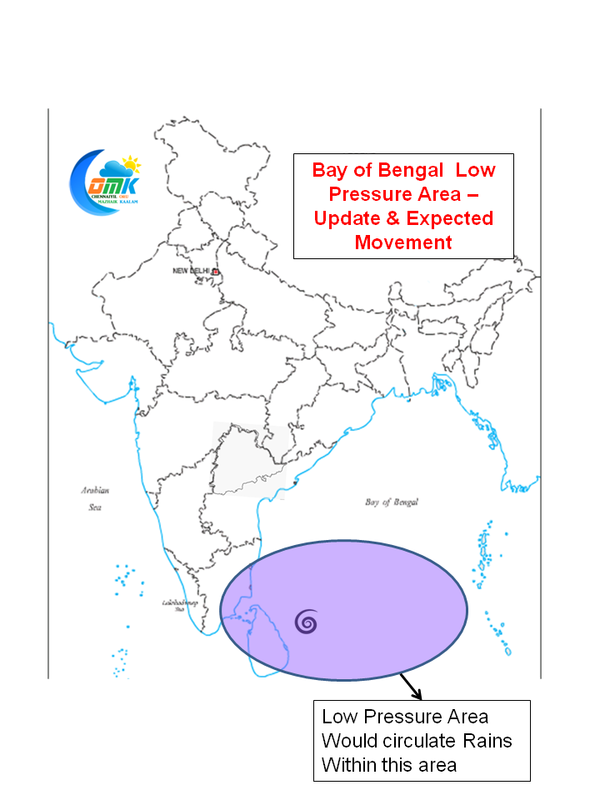 Low Pressure Area Update – Will Chennai get any rains?